November 8, 2014 by LindaJoy Rose . Posted in " Announcements, Mind Recipes, Miscellaneous, Motivational, News, Spirit Recipes " . Tags " assisted suicide, breathing techniques, Brittany Maynard, Death with Dignity, deep breathing, meditation, mindfulness " . Brittany Maynard’s death this past weekend stirred some very deep emotions in me and ignited reflections on how I am presently appreciating (or not) my life. For those unfamiliar with this beautiful and courageous woman, Brittany chose to end her life rather than rapidly deteriorate from an inoperable brain tumor related to a typically terminal and aggressive cancer called gioblastoma. At only 29 years old, she was a very visible advocate of the Death with Dignity Act, and even moved to Oregon towards the end of her life so that she could be legally prescribed and issued the assisted suicide drug from a physician. For the past several months, Maynard made many appearances in the media, announcing that she had chosen November 1st for the day she would end her life. Her goal was to travel as much as she could and celebrate a final birthday with her husband, Dan. In late October she said that she might postpone her death for a short time as she was feeling better than she expected, but indeed she did take the fatal dose last Saturday. Reading the news on Huffington Post last weekend, I experienced a few moments of extreme grief — and the sadness carried over into a few days. I reflected that evening and most of the next day on why this story has impacted me so strongly. While I am certainly a proponent of the right for individuals with terminal diseases to make these choices, this is an issue that will be debated for some time by people far more informed on the pros and cons. A few weeks ago, one of our Natural Wellness Academy students posted Brittany’s story in our online forum, which sparked a lively debate on whether Ms. Maynard had explored any non-traditional and integrative options, including adopting a raw vegan diet, which has been instrumental in many seemingly miraculous remissions. While I am generally a vocal advocate for alternative therapies in treating disease, my comment to this particular thread was that Brittany’s decision seemed to be an issue of individual choice and I did not feel right to judge her, even though I would have loved to see her explore these options. I have been blessed so far with a life span over double Brittany’s; and my precious father-in-law, who passed away this week at almost 99, more than tripled her allotted time on earth. But I don’t think that I have truly appreciated the priceless gift of being alive. Certainly I have experienced rapturous moments. And I have learned to express gratitude on a daily basis for my life’s many wondrous gifts and blessings, but I have taken for granted that there is a long string of years ahead and if I’m not as present as I could/should be, there will be time to make up for that. I have let petty dramas and feelings of victimization waste away a lot of years, never considering that once they are gone, they will not return. 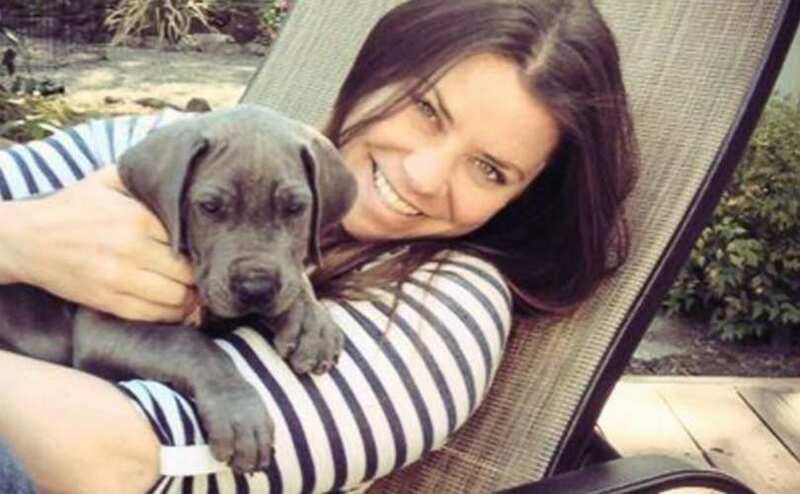 In her short, but so significant life, Brittany Maynard has set an example to me that life is precious and there are no guarantees. My tribute to the brief shining life of this sweet soul is to make appreciation for life – here and now – my priority. It’s so easy to get swept away by the minutiae of everyday existence, and many times our best intentions to change fade away as we revert back to the ingrained mental habits of worry and frustration. “Changing our thoughts” to change the world as Brittany suggested can only be accomplished by mindfulness, being in the present moment, and not at the mercy of our habitual thought patterns. 1 Learn to do focused breathing – even if for a few moments every day. Dr. Andrew Weil, a well respected expert in mind/body medicine, asserts that the single one thing we can do to dramatically improve our health and well-being is to improve our breathing. Breath is the link between the mind and the body and also provides the means to connect with our “vital, non-physical essence.” The act of deep breathing oxygenates your brain and sets the tone for a much calmer perspective, no matter what may be going on externally. Years ago I developed a very simple technique that takes only a few minutes, called 20 Breaths. You can learn it here. 2. Make at least one meal or snack fully mindful each day – It is so easy to go unconscious when we participate in the repetitive behaviors that we do on a daily basis. Eating is something that we have learned do while multi-tasking, which is never good for digestive OR mental health. Take one meal or snack and be as fully present as you can be, chewing well, savoring each bite, and fully involving your 5 senses in the experience. Even learning to appreciate one meal per day “with exquisite attention” as Joan Borysenko once described her meditation on a small piece of chocolate cake, this will awaken more awareness and appreciation for the simple pleasures in life. 3. Practice the “Reflective Pause” – This is a technique that I have taught in workshops, but have personally recommitted to making a daily practice. At least once a day, stop what you are doing “mindlessly” and pause to reflect on something absolutely wonderful in your life. It could be the way the sky looked on your drive to work, or the hug your daughter gave you before bed. Maybe it’s a pleasant memory or a vision of something you deeply desire. I do it often when I am out walking the dogs so that I can fully appreciate the fresh air or the current wonder of weather. It is only by balancing our busy-ness with being-ness –even in the briefest of moments, can we live in harmony between mind body, and spirit. In "Main Meals, Miscellaneous, Petit Plats, Recipes, Sides"